Stunning sunsets! 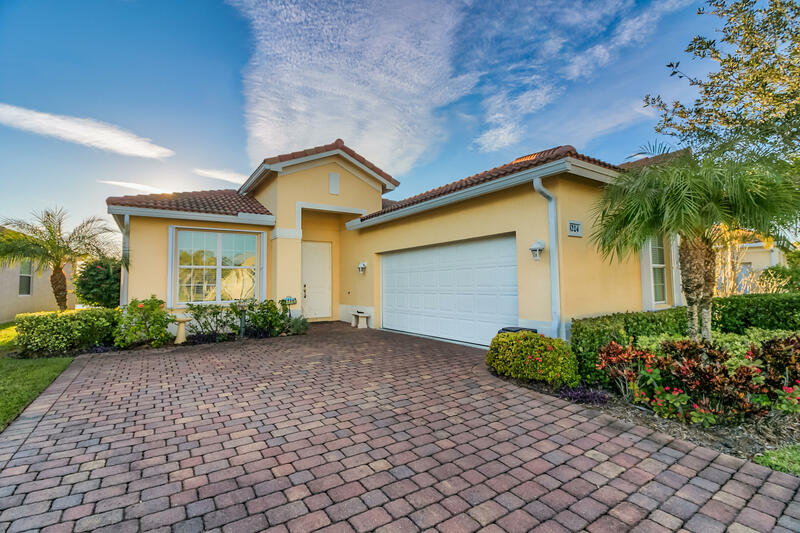 Discover this lakefront beauty Jensen Beach Country Club! This three bedroom, two bath was built in 2012 and features a beautiful open kitchen with granite counter-tops, breakfast bar and stainless appliances overlooking great room with tray ceiling. Master bedroom is bright and spacious with large closets and luxurious master bather with garden tub and separate shower. There is formal dining room that could easily be used as a den or living area. You will love the designer POOL, covered porch and screened patio that is perfect for sunbathing. There is a scenic pool screen for unobstructed view of the lake and the beautiful Florida sunsets. The home is cbs, construction, w/ tile roof and accordion shutters. Top location with Martin County A Rated schools.